Foshan Shengbang Steel Structure Co.,Ltd had exported a batch windowsills frame to Australia.,In early July.This windowsills are the non-standard products and the customer requirements are very strict of the goods.Whether it is the welding, galvanizing, a sand blasting, dusting and fixed to the packaging of the products, the requirements of the guests are very high. 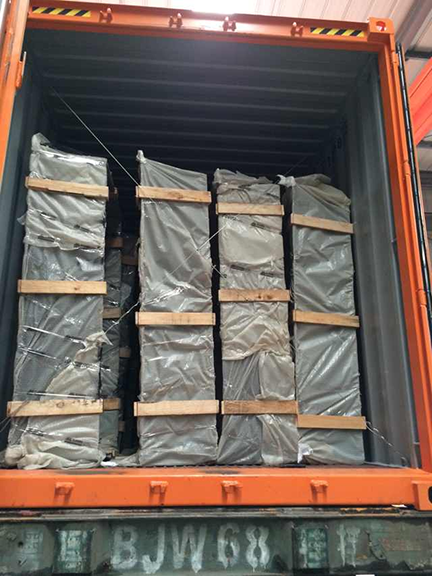 In the packaging and fixed, Foshan Shengbang Steel Structure Co.,Ltd taking into account the windowsills is relatively large , worried on the way shipping will cause deformation of the goods, we carefully marked with wooden frame as fixed for each Windowsill frame. Finally, SBS successful completion the production and packaging before the delivery period.Customers gave us high praise and affirmation after inspection of products. Foshan Shengbang Steel Structure Co.,Ltd possesses professional large-scale steel structure production equipments and the automatic spraying production line,so we can satisfy the different customers demand.We take ‘build your future”as mission.We take the customers’demand as the guidances,then provide reasonable,scientific and effective solution for customers.We regard practical growth,innovation and group solidarity as our company spirit,so that we can offer all-round service to customers.